IPs or domains that cause threat to your inboxes will be listed by the blacklists. If you are on a blacklist you should not keep quite you must act quickly. There are several email blacklists which tries to impress you with a long list, which might not be good tool. 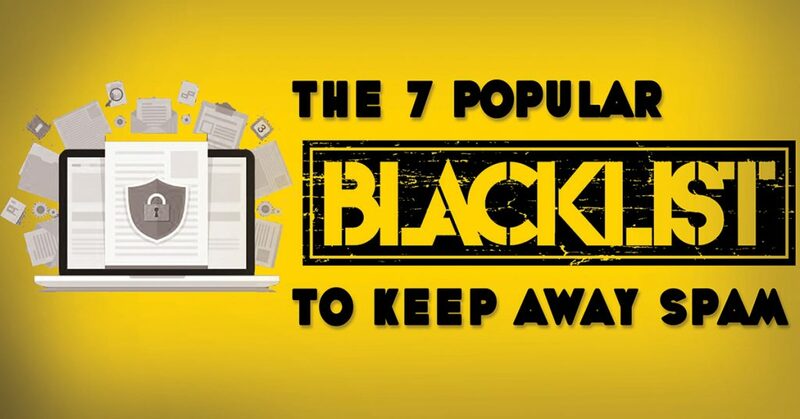 So, here is a list of good blacklists tool that we suggest for your inbox. Spam traps are also included to catch the IP address of fake users. If your server IP is caught on the spam trap it will be listed. For removal purpose the Spamhaus Blocklist Removal Center can be accessed. IP when the spam source is stopped. Barracuda blacklist is free to use but it is asked to register your IP address. Removal process is very easy, you just fill up their removal request. It lists hijacked IP addresses of a third party exploits like HTTP,SOCKS etc. CBL act as a scoring based blacklist and immediate block blacklist. CBL is a domain based blacklist. Removal process is very simple, only a request is needed to be submitted. PSBL is new to DNSBL and is IP address based. PSBL listing criteria uses spamtraps and honeypots. RNBL is based on IP address. Scoring done based on volume data, spam traps and complaint sources. When cause of listing is resolved IP address is automatically resolved. There are many more RBLs which you can use and integrate into your email server to reduce incoming spam emails. The listed RBLs in this articles are few of them but most trusted and can bring in the best results. If you ever notice that emails are bouncing from your server because your server’s IP address is listed in any RBL, do not think twice but check your server’s reputation. You can use some tools like mxtoolbox to check your email IP address reputation. Our product of RBL based reputation database prevents website hacking, DDOS and brute force attacks with ModSecurity rules. You can also take a look into cPGuard, which is a well known and trusted security suite for cPanel servers. It has integrated file scanner, brute-force protection, IP/Domain reputation checks, WAF, etc. cPGuard also has sRBL which has intelligent RBL check and decision-making engine and it can be enabled in Exim with a click. sRBL can eliminate a large number of incoming Spam emails and produces close to Zero false positives. Please let us know your comments and feedback’s regarding this article.